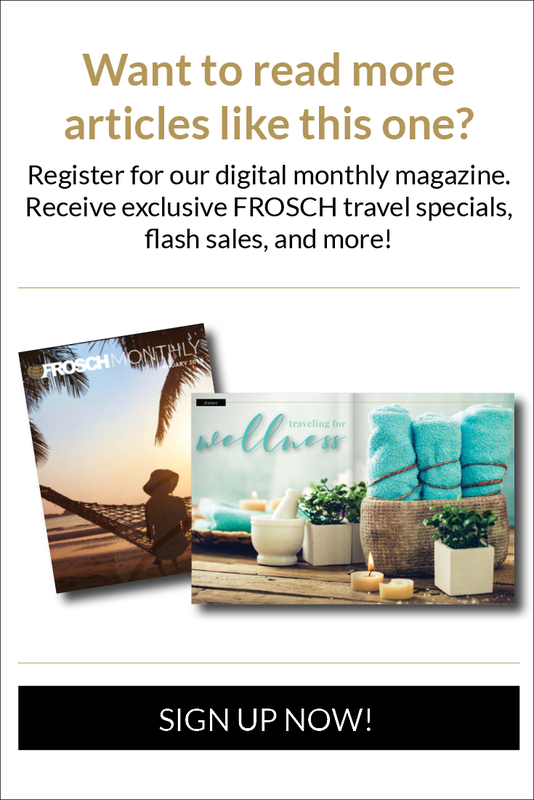 Preferably, you will want to spend more than a day in Paris as it is a diverse, culturally rich, historic city that is on every globetrotter’s bucket list. However, if you only have 24 hours at your disposal for this lieu magique, we have you covered! To get started, be sure to purchase plenty of Paris metro tickets, or the Paris Visite Pass, to ensure you don’t have to keep buying tickets along the way. These tickets are good for both train and bus access. We also recommend packing a map (and maybe a few snacks!) to stay on track during your journey. Let’s seize the day and start early — before 9 AM! 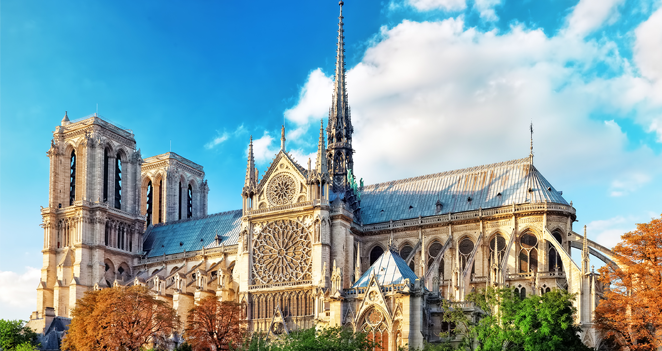 After eating some freshly-baked croissants from your local bakery, phase one of your whirlwind day in Paris begins with an early-morning visit to the Notre Dame Cathedral, one of the most breathtaking Gothic-style cathedrals in the world. Arriving early will help you steer-clear of long lines, especially if you want to climb the towers to enjoy Paris from an awe-inspiring panoramic perspective. Once you’ve soaked in all the splendors of Notre-Dame, it’s time to cross the river via the Pont St Michel, just west of Notre Dame and head south to the historic Latin Quarter. From here you can explore some of the area’s most iconic places, including the Sorbonne and its pleasant square and the famed English-language bookshop, Shakespeare. After exploring the old Latin Quarter and the St-Michel district, follow your Paris area map to the Quai Montebello, facing Notre Dame on the south side of the Seine. From here, the choice is yours – enjoy lunch at a nearby food stand or choose a good corner brasserie or a sightseeing cruise around the city! For a quick rush of arts and culture, head back east on the metro or bus from the Eiffel Tower to the Musée d’Orsay. The collection of impressionist and expressionist paintings and sculptures from the likes of Manet, Gaugin, Monet and Degas is truly a delightful experience to witness in person. 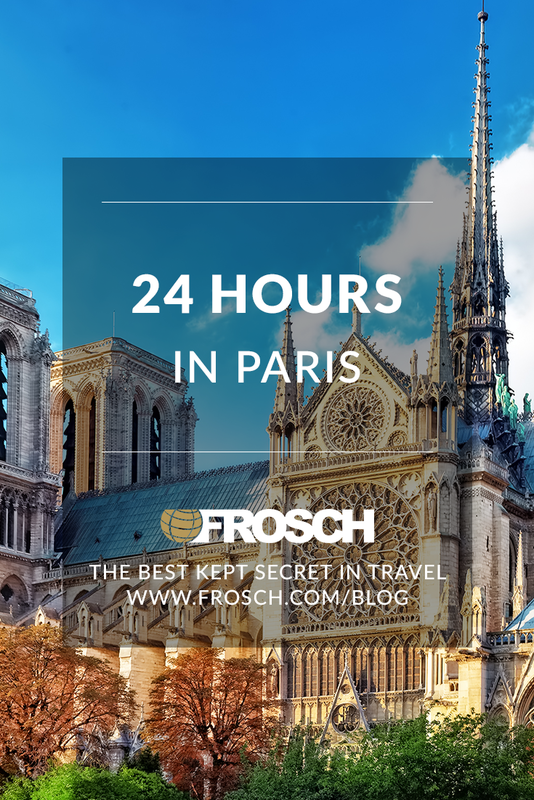 The final leg of your flash tour of Paris brings you to the gorgeous district known as the Marais, an area that preserves the narrow streets, original architecture, and old-world charms of medieval and Renaissance-era Paris. Here you have plenty of fine dining options. After enjoying some dinner, take a nice evening walk around the area and find a spot in a good bar or brasserie for an after-dinner drinks.